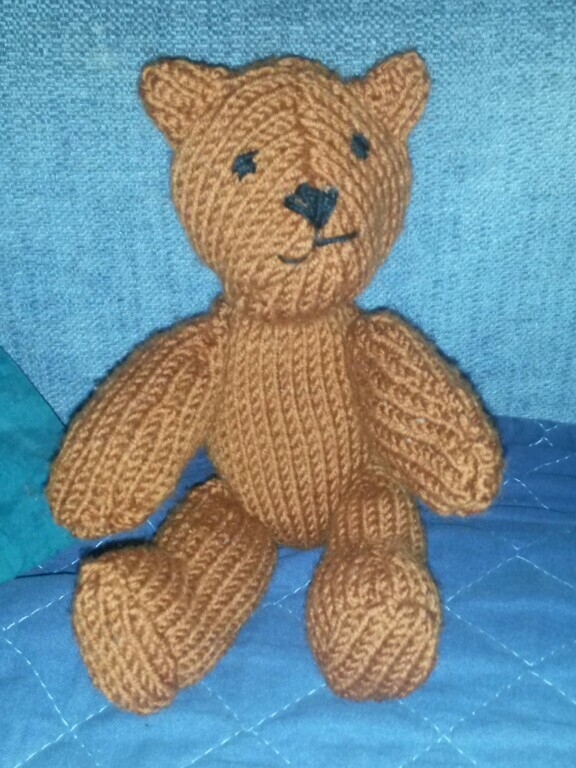 I also finished last night the little bear for my sweet girl. She loves it, I think. This was a free pattern by Debbie Bliss for Noro. I have to say I was disappointed. I had a feeling that she took a sewing pattern for a bear and translated it into knitting – with numerous “break yarn, re-join yarn”. Much of the shaping could be done in one continuous piece: we are not cutting out, but knitting, and can actually create 3D shapes. As I progressed through the pattern, I changed some of it, to that end. I also worked last night and this morning to advance the second side of the cushion cover, and it’s now 3/4 finished! Last but not the least – we went for a long walk in the park today, and I managed to work a few rows on the blanket. I just love crafting outside in the nature! 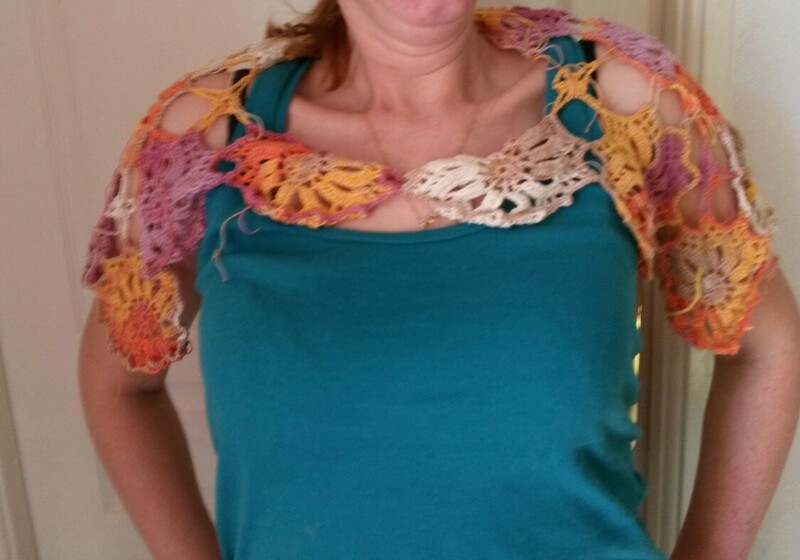 Separator image Posted in Books, mags & patterns, My kniting & crochet and tagged with YOP. The bear is lovely and the dress is coming along a treat – I love your colours. I’ve struggled with Alan Dart patterns for similar reasons. 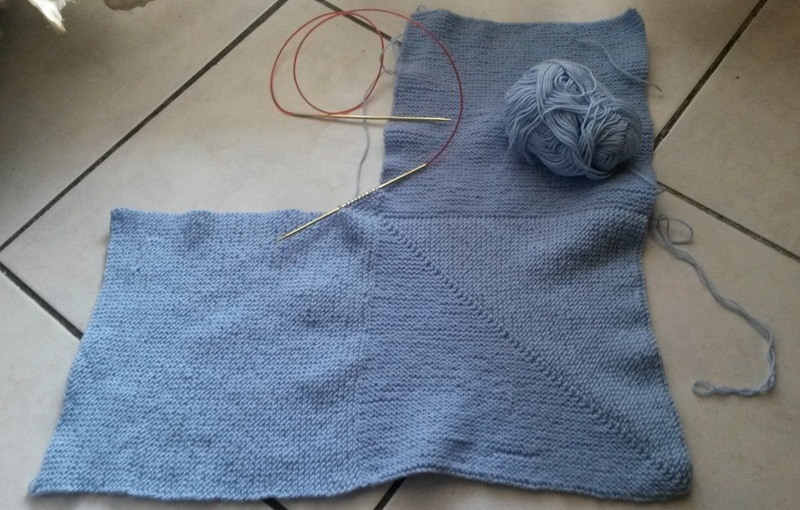 Some days I think UK knitters are most accustomed to knitting flat and seaming everything ….. for no reason :| Honestly, I don’t know what to make of it. Your bear looks very cute! I’m glad I’m not alone! I should have made Lion Brand’s pattern – I love their bunnies, and I think they have a bear, too . That dress is going to be so beautiful! I love the colors in your blanket. Thank you. I really enjoy working on the blanket because the colours calm me down and improve my mood. Love the yarn for your dress(coming along nicely!) That teddy sure looks cuddly! :-) I get so distracted when I work outside…too much to see and hear I guess. Maybe a more ‘mindless’ project would work! 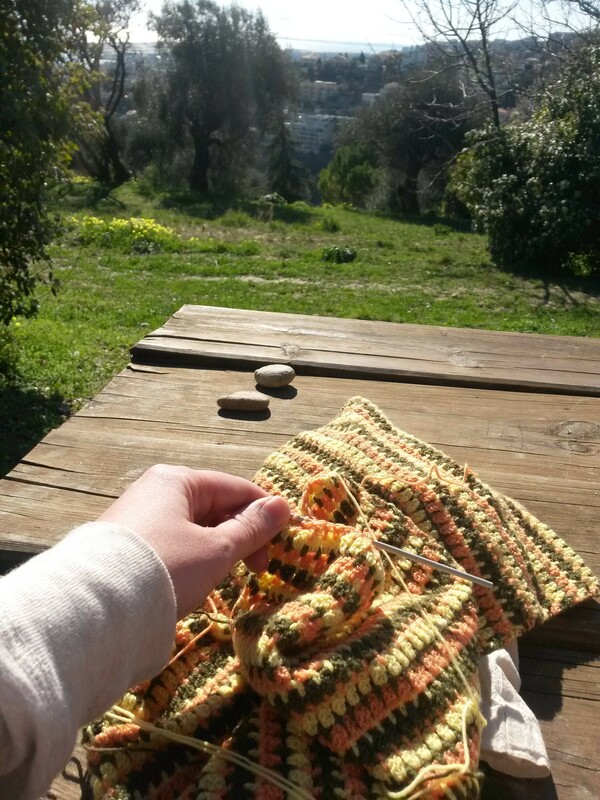 Yes, I tend to bring mindless projects with me when I knit outside – I rarely get much done, as I’m usually with kids and they won’t let me be for long periods of time, but I still enjoy it. I love how your dress is coming along, the colours are great. Thank you )). I can totally see how relaxing can be walking and crafting during breaks. I think many things goo better when one’s outside. I can’t wait to see that dress finished!